The session itself is an hour and I then edit the gallery for around 6-8 hours. This will cost you nothing. I do however ask for a deposit of £99 when you book your session, this is to stop people not turning up for their session. The £99 is then taken off your order. 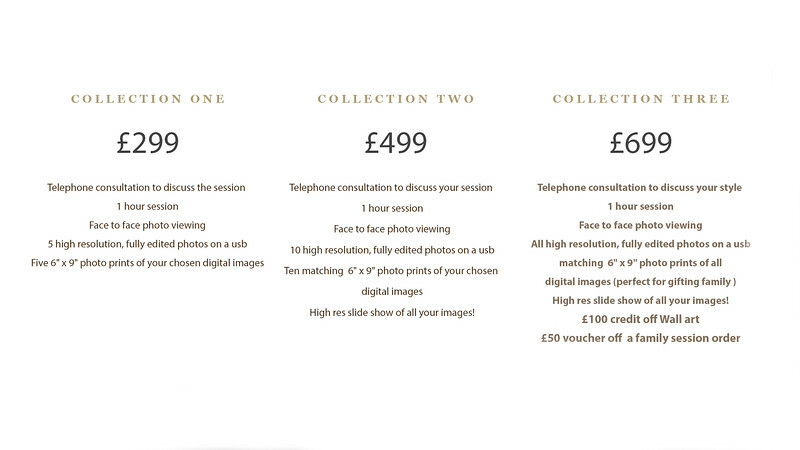 If you wish to place an order then there is a minimum spend of the £299 which is the smallest package available.